How does the fiscal cliff affect your small business? How do you make sure your business moves on the way you want to if you die--or simply retire? These are just a couple of the many questions Tony Madonia advises his clients on every day and he's here to help the audience of Piggy Bank Promotions. Tony's both a lawyer and a CPA, based in Chicago, and ready to talk to Piggy Bank Promotions' national audience on 1/10/13. 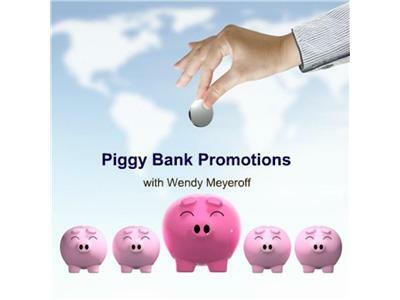 Look forward to having him!--Wendy Meyeroff.